Hi Karen, thanks for taking the time to answer a few questions. Let’s start with you telling us about yourself. My background includes a bachelor’s degree in Aerospace Engineering, a master’s degree in Business Administration and 15 years’ experience in the aerospace industry. Currently, I am enjoying my time as a stay-at-home mom, with an energetic 9 year old son, as I have the opportunity not only to spend lots of time with my family, but to give back to the community as well. What is your role on the i-Trek team? 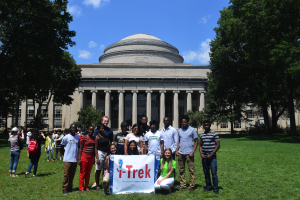 As Project Manager for i-Trek, I assist both the Trek and Fundraising Committees with the planning and coordination of various activities relating to the Treks (Research Projects) for underrepresented students. Why did you want to contribute to the i-Trek Team? When I first came across i-Trek, I had recently completed a volunteer assignment with a non-profit organization assisting Central American entrepreneurs. I got excited about i-Trek since I could relate to their mission on a more personal level and I was impressed with their leadership team. Since I was a female student in a male dominated technical school many years ago, I was sure that the support and encouragement provided by i-Trek would be greatly appreciated by many underrepresented students. So, I wanted to help out. Where do you see i-Trek going in the next 5 years? I believe that i-Trek will make big advancements over the next 5 years particularly in the number of Trekkers/students that they will be able to support. This will come in part from their ability to improve the sustainability of the organization. As they increase their donor base and improve their communication and association with corporations and professional organizations, the resulting increase in funding will allow them to reach out to more and more students each year. How did you become interested in STEM? As a child, my family took a vacation to the Kennedy Space Center in Florida and I was fascinated during our tour of the launch facility. I remember thinking, “It would be so cool to work here someday!” That thought stayed with me for years before I decided to attend an engineering school in Florida and major in aerospace. What single moment/experience helped to shape your current STEM career? After joining The Boeing Company right out of college, I learned quickly that there were many different opportunities for an engineer to pursue (systems, structures, payloads, etc.). After spending several years in technical design organizations, I made a big decision to switch to Customer Engineering (Account Management). This change allowed me to work directly with the airlines regarding their aircraft purchases and touch upon many different aspects of the manufacturing process. My experiences in this customer focused organization helped me improve my business, communication and planning skills and enabled me to travel the world. This decision at Boeing really shaped my STEM career and led to great opportunities at other aerospace firms as well. You have been a huge impact in planning the first i-Trek mini Trek. What activity do you think the students will be most excited to participant in? The agenda for the mini-Trek is packed with learning opportunities and fun events for the students. They are going to have a great week touring campuses and engineering labs, listening to presentations and working with some talented mentors. A big part of the process will be learning about their fellow Trekkers and brainstorming different ideas for their 2016 research project. However, my guess is that they will be most excited to participate in the Boston scavenger hunt. Who doesn’t love a fun game around the city?! Where do you see yourself (career wise) in the next 10 years? That’s a tough question. By the time my son completes high school (~9 years), I just might be back in the corporate world full time. Anything’s possible! What kind of things do you like to do in your free time? I live in the Seattle area, which is full of great outdoor opportunities. 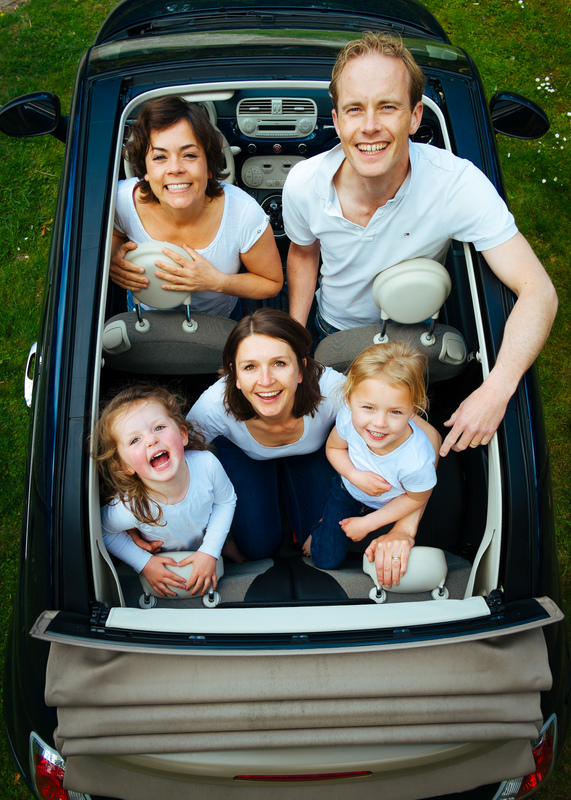 So, every weekend is filled with family adventures, including hiking or skiing in the Cascade Mountains, running or biking on our local trails, or enjoying a neighborhood whiffle ball game. Recently, my son fulfilled his summer 2015 goal by climbing with us up Mount Rainier to Camp Muir at 10,000 feet! Never a dull moment. I travelled a lot when I was working full time, including many, many trips to Europe, a visit to Singapore, a meeting in Mexico City and a couple trips to Sydney. I also spent a couple weeks in Brazil during an international study tour while earning my MBA. A few years later, before my son was born, my husband and I, along with some of our friends, chartered a sailboat on Saint Lucia. What a crazy adventure that was! Today, my occasional family travel consists of hiking trips to Hawaii, which is wonderful. With all our local adventures around the Pacific Northwest, world travelling is not so important to me anymore, but I have to admit a relaxing vacation to Fiji or a hiking trip to New Zealand would be pretty nice! a stop at the Harvard Campus as well, and is the precursor to the Trek program. The program included Mentor Research Presentations, a Hackathon, attending a poster presentation by MIT students, and completing a group research project (culminating in a presentation by each group). A prize was awarded to the highest scoring group. The Trek Orientation engages critical, analytical, and creative thinking skills for all participants, which will help prepare them to succeed in college, graduate school, and beyond. First, a group of graduate students gave presentations on their graduate research projects. Based on those presentations, the students provided their input on whom they would like as their mentor for the Trek process. Based on their feedback, a mentor is selected for the students participating in the Orientation and subsequently the Trek. After the students had a mentor, the next stage was the Hackathon. The students were divided into groups, and presented with a problem that requires a scientific research project to solve. The competition involved the different groups coming up with the best scientific research project to solve the problem. The students are then able to draw inspiration and knowledge by viewing presentations by MIT students at the Poster Presentation by the MIT Summer Research Program. The Trek students view these presentations in order to gain ideas for their own research project. Each group decides on a research project, which will be conducted over a period of several weeks. At the conclusion of the Orientation, each group gave a presentation explaining the project they propose to conduct. A prize was awarded to the group with the best presentation. 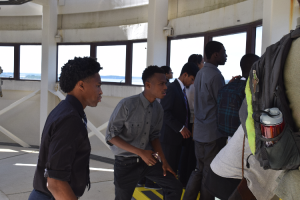 At the conclusion of the one week Orientation, the cohort embark on the project defined, otherwise known as their “Trek.” The project is different each year and takes students to different locations. The process opens up students’ minds to new ideas of objective analysis. They will be open to new ways of measuring and observing the world around them. They become well versed and experienced in scientific and mathematical research, which will not only give them a better chance to succeed in graduate school, but also in their future endeavors in life. 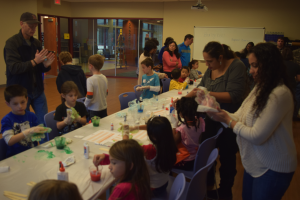 On Saturday, November 28 at the Olney Library in Olney, MD, kids were literally bouncing off the walls! atom consists of 1 proton and 1 electron while an oxygen atom consists of 8 protons and 8 electrons). The “electrons” ran around the “protons” to demonstrate how an atom works. It is programs like this that show kids how fun science can be, and the more fun they have, the more engaged they will be. After this, kids sat at tables and got messy! Each child received a cup, and in it mixed water, borax, corn starch, food dye and glue. After stirring and rolling into a ball, the kids were thrilled with the result — bouncing balls! Gloves were offered to all the participants – those kids who didn’t want to wear gloves ended up with very colorful hands! Kids then bounced their balls all around the room, while volunteers helped to measure how high their balls bounced — some balls bounced as high as 42 inches! The parents all said that the event was very well organized, and that the kids all had fun. They have seen that they can have a great time while they are learning, and might be more likely to be excited by science than other kids who did not have this great experience. They had a great time and it was truly a worthwhile experience! Great Britain has legalized a procedure that allows a child to be conceived from three biological parents. The procedure would take the mitochondria from the egg of a donor, and insert them into the egg of another woman, and then fertilize that egg with the sperm of a man. This procedure is intended for women who have genetic diseases that can be passed on through mitochondria. This procedure is highly controversial due to the unconventional nature of the conception. Mitochondria are the organelles within each cell that generate power for the rest of the cell. They are essentially the cell’s power supply. They have their own DNA, separate from the DNA of the rest of the cell, which is why it is possible to incorporate the mitochondria of another person into an egg. The egg can still maintain its own DNA, meaning that the child would incorporate genetic coding from the mother’s egg, the father’s sperm, as well as the donor’s energy generating mitochondria. The purpose of the procedure is to prevent diseases from being passed on genetically from the mother’s mitochondria. These diseases include epilepsy, diabetes, bad eyesight, progressive infantile poliodystrophy, and more. The mitochondria that would have caused these diseases are removed from the egg cells and replaced by those from a donor. These mitochondria have no effect on the mental and physical traits of the individual, only the biochemical reactions that body uses to generate energy. The procedure starts by collecting eggs from the two females. Then, using microscopes, microsurgical needles and lasers, they remove the nuclei from the cells with faulty mitochondria and replace them with the mitochondria of the donor. The nuclei from the donor are placed into the cytoplasm of the egg cells. The procedure takes approximately one hour. As a result, the mother has her own egg cells with nuclei that contain healthy mitochondria from the donor female. The procedure is legal in Great Britain, but not in the United States. The FDA is still reviewing whether to allow clinical trials in the US. Some people view this procedure as highly controversial, for essentially the same reasons as stem cell research. Some feel that the procedure amounts to “playing God” because it is transcending the natural way in which a human being is created. It is also controversial because there could be unknown side effects, as it is impossible to tell every effect that the donor mitochondria might have on future development of the resulting embryo. With greater research and understanding, the process can be fine tuned to minimize potential risks and to limit the controversial aspects. With a well-planned system of regulations, it can be used by only those people who would be unable to conceive a disease-free child without a different set of maternal mitochondria. It is unclear what role, if any, the third parent will play in the pregnancy, and how the system will be regulated, but the potential is certainly groundbreaking and extraordinary.